1- Enter your gift code on our redemption page. After entering the code and clicking "Next" it will take you to a login screen where you can log in as a player or parent, after which you can confirm the redemption of the gift on a player account. 2- Log into your parent account by clicking here and once logged in, if you are not in the "Account setting" page click "Parent account settings" in the upper right corner. On this page, there should be a dropdown in the settings called "Redeem Code" where you can enter the code and click "Redeem" to select the player account you would like to apply the gift code to. 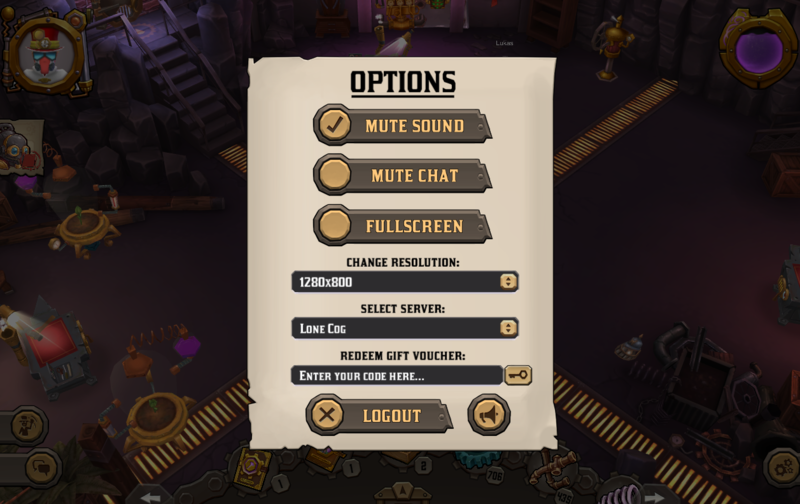 3- (Desktop / Android only) Log into the game with the character you want to redeem the gift for, open the options menu by clicking the cogs in the bottom right and enter your gift code in the "Redeem Gift Voucher" space and click the key. After successfully entering the code and it being accepted the content should now be unlocked for that account! 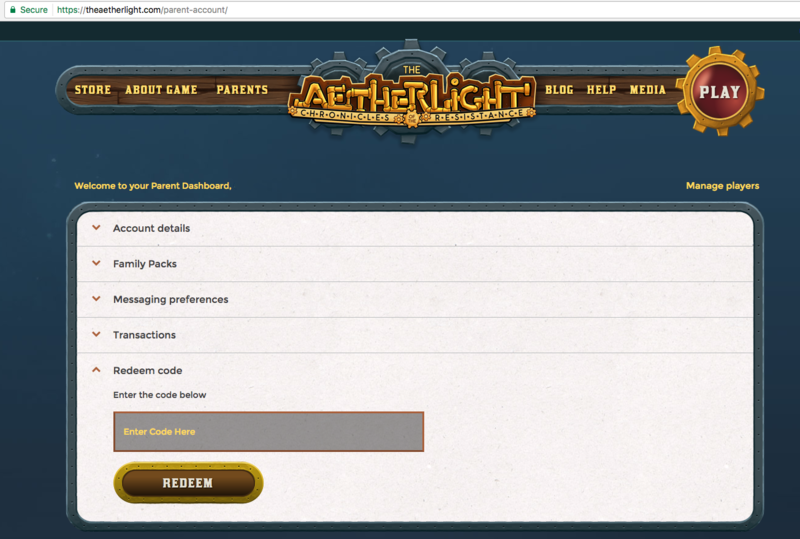 Please note that since The Aetherlight is an episodic game, some content may not be accessible until the player has completed the required pre-requisites. For example, if you have redeemed a gift code for "Your Next Episode" whilst only part-way through Episode 1, you will not be able to access Episode 2 until you have completed Episode 1. If you are having trouble accessing your redeemed content, please contact our super friendly support team who will be more than happy to help you out!